Brunei Darussalam Scholarship 2018 for ASEAN Youth. On 13 November 2017, at the 31st ASEAN Summit held in Manila, Philippines, His Majesty the Sultan and Yang Di Pertuan of Brunei Darussalam announced that over the next 5 years, the Government of Brunei Darussalam will provide to enhance professional communication skills for citizens from ASEAN countries. This programme will help participants improve their professional communication in English. 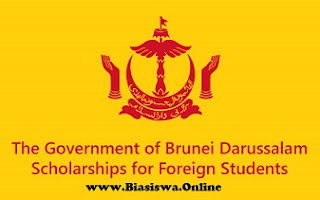 Universiti Brunei Darussalam (UBD) is pleased to be the organizer of the programmes under this Scholarship, which will be conducted at the UBD-FPT Global Centre in Da Nang, Vietnam. Apply online through online admissions application system. Applicant must fill up all fields available in the application form. Applicants will not be able to save or submit the application if any of the fields are missed.